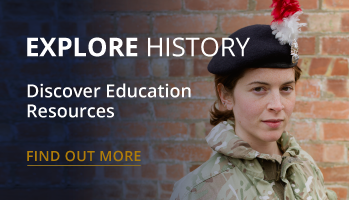 Visit the Royal Regiment of Fusiliers Museum (Royal Warwickshire) which tells the story of over 300 years of history of the County Regiment, from its raising in 1674 to the Fusiliers of today. Greeted by a soldier of 1744 the story of the "Warwickshire Lads", from Private to Field Marshal, is revealed through an exciting mixture of real objects and interactives. Lots to do for all the family - try on uniforms (a great photo opportunity!) and experience night vision. 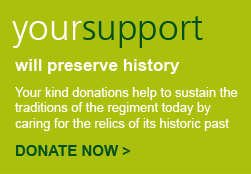 Discover stories about Hannah Snell, a female soldier; and the Regimental mascot, Bobby the antelope. Find out about the Regiments famous sons, notably Field Marshals Montgomery and Slim. See displays about both World Wars. Look at the Bairnsfather cartoons, listen to veterans’ experiences of D-Day and marvel at the medals. The museum is situated in a 17th century Grade I listed house, which is regarded as one of the most important buildings in Warwick. The mediaeval Hospital of Saint John the Baptist was founded by the Earl of Warwick on the site around the year 1154. On the Dissolution of the Monasteries the land was passed to the Stoughton family. Between 1666 and 1670 Nathaniel Stoughton rebuilt the house very much as it is today. The two-storey house with attics for the servants has five distinctive bays; three ‘Dutch’ and two triangular gables. It is made from ‘Warwick stone’, the local sandstone. When it was new the house, with its grounds and gates, would have been very imposing, reflecting the importance of Nathaniel Stoughton. In 1791 it became a private school and later, during the 20th century, was taken into use as a military record office; it has been a museum since 1961. New Year - try something new & different - volunteer for the museum! New Year - try something new & different - volunteer for the museum! In the New Year many of us make resolutions or plans. Trying something new and volunteering at a museum may or may not be on your to do list. If you are wondering what it would be like then read this article by one of our younger volunteers. We have volunteers of all ages, from 16 upwards. If you are interested, do contact us for further details. The museum is running a new free Café just for Veterans every morning on the 1st Tuesday of every month. Starting from October 2018.